A great game for all the family, and for any party from teens upwards. This is a variation of Spoons and requires that two people know how to play to start. Someone is told to leave the room and the rest of the guests decide whose "portrait" will be "painted" and who the artist will be. 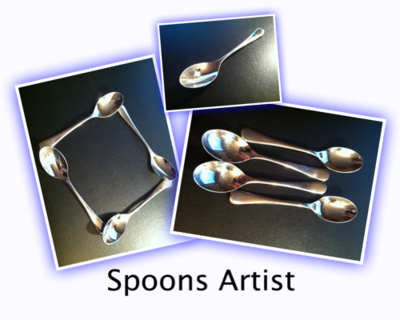 The artist then arranges the spoons in any manner they choose. The person is brought back into the room and told who the artist is. They must now guess who the portrait is of. The secret is that the artist then mimics how the subject sits, moves, mannerisms, until the person guesses it, or gives up. The only problem with that game is that you can only play it once because after the first person goes, everyone else will know what to look for.